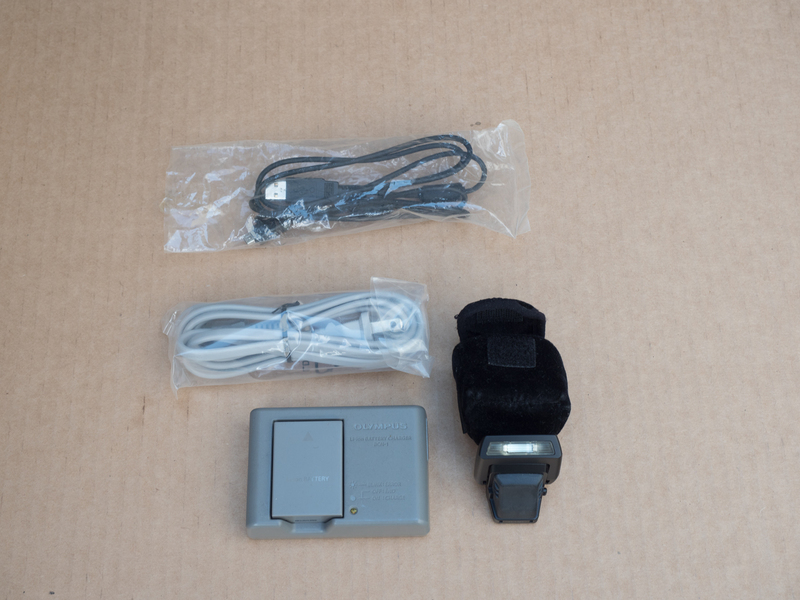 A used but lovingly cared for E-M1 boxed with all the included accessories - flash, Olympus battery, charger, USB cord, body cap, unused strap. I take great care of my gear - the cosmetics are nearly flawless. Even the hot shoe, original body cap, and PC cord outlet covers are still there. There is a bit of brassing on the hot shoe, but none on the prism. There is a fine scratch on the non-lit part of the LCD that you would not notice if I didn't point it out, but I believe in full disclosure. I also will throw in the perfectly engineered Really Right Stuff L-plate, your best friend when shooting on a tripod, allowing you to go from vertical to horizontal in seconds. The RRS L-plates fit the body like a glove so there is no twist or shimmy, just a rock solid connection with the tripod. The battery remains fully accessible. 1. Unlike the E-M1 Mark 2, this camera counts mechanical AND electronic shots. (The Mark 2 only records mechanical shutter firings, as they are the only ones that count towards wear.) I am a heavy user of the electronic shutter, for focus stacking and shooting wildlife, so I would estimate that the true mechanical count is more like 25000. 2. Olympus rates this shutter at 150,000 shots, so if I even if I did rack up 37000 in three years, there would be plenty of life left. 3. I have the camera cleaned and adjusted at least once a year, many times more often. The only reason this solid, reliable camera is going up for sale is that I got a good deal on a E-M1 Mark 2. 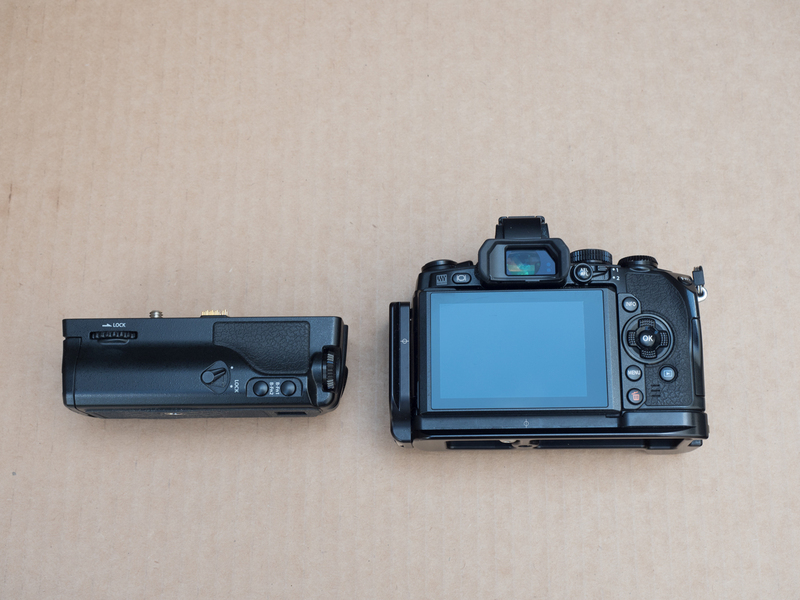 Just read the forums; everyone is raving about these E-M1s and how they are such a bargain at the moment, with the release of the new Mark II. Grab this prime copy for $475 including the RRS plate! I am also selling the battery grip, the HLD-7. 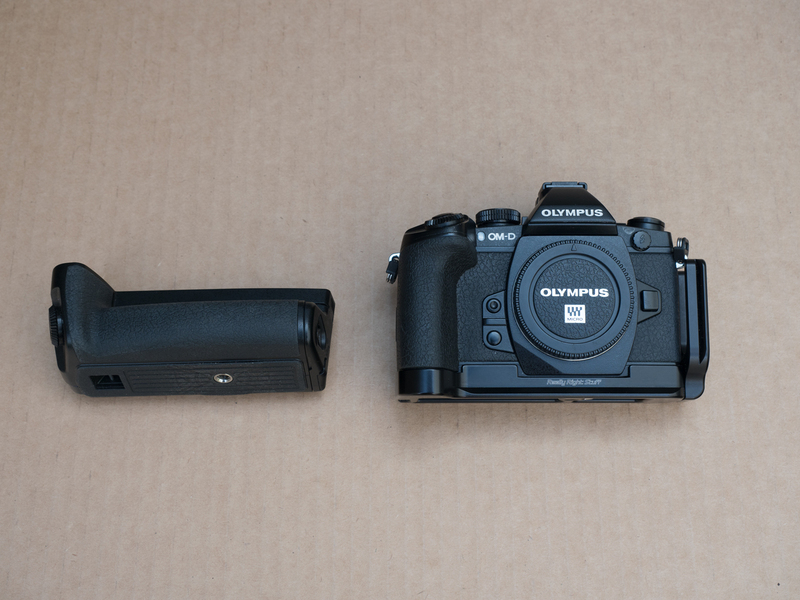 For ease of hand holding and vertical shooting, this excellent grip (with a battery included) doubles the battery life and makes the camera very quick and sure for portraits and street photography. Just $100. I will ship free to CONUS, and to Canada if you pay the difference in shipping. PayPal only.